Women's 3/4 Sleeve Raglan "The Meow"
This shirt is manufactured and printed ethically and locally in LA on a soft Bella+Canvas T. The style is a classic baseball tee with its slim fit, crew neck and contrast raglan three-quarter sleeves and a baby ribbing. 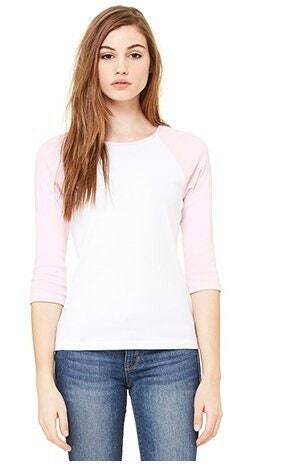 Comes in white with soft pink sleeves. This shirt fits perfectly, shipping was quick and the design is amazing.